When the micro-meteors struck the Lord Brisbane it knocked out the engines and the engineering crew of three engineers. Of the 40 souls left, 18 are still on board. The referee should begin a count of two hours, thirty minutes when the PC’s ship arrives on scene. If the PC’s show any kind of indecision, start counting off the time left. 1. There is floating debris around the ship from the initial damage caused by the collision. 2. Any ship maneuvers around the stricken liner will need to take care to avoid the mini-flotilla of six lifepods on a parallel course. (There are four persons aboard five pods and two persons aboard one pod). Also, the liner is slowly rotating counter-clockwise so the docking maneuver will be challenging if it is attempted. 3. 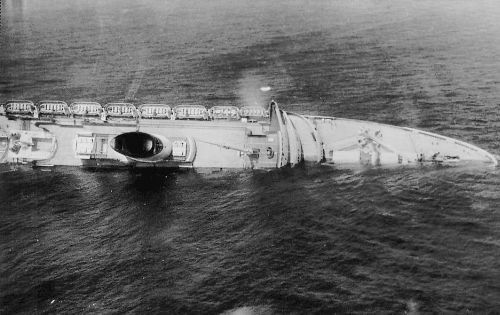 A stated, the PC’s ship can dock with the stricken liner and evacuate another ten persons who are in a full-panicked state at the forward airlock on deck three. 4. The gravity plates on the liner has failed. All movements will be in null-gravity. PC’s with no zero-gravity experience will be at a profound disadvantage. 5. The ship is operating on no life support. The ship is slowly bleeding heat and breathing will slowly become an issue right before the crash as oxygen levels are dropping. 6. There will be only red emergency lighting throughout the ship. Visibility will be low as there are floating wires, venting air and hovering trash all around. 7. There are seven passengers unaccounted for. They are all panicked and hunkered down in their individual staterooms. They will come if they are guided, but with little lights and no gravity this my take the PC’s physically holding their hand to guide them back to the airlock. This will take some time and time is obviously precious. 8. The Lord Brisbane’s skipper will also be running around the ship looking for wayward passengers. He will only leave at the absolute last moment. 9. If the PC’s ship is large enough and their maneuver drive is strong enough, it could attempt to pull the ship out of danger but with some risk to the PC’s ship. It could latch onto the clamps on the airlock and provide some thrust, but these clamps may not be able to withstand the stress caused by this risky attempt. Success will mean the ship is pulled out of danger and the Lord Brisbane is saved. Partial failure will mean the docking clamps fail and damage is done to both ship’s airlocks, but the ship will be out of danger of crashing into the planet. Complete failure will result in no change in the Lord Brisbane’s vector and additional structural damage will be done to the PC’s ship in and around their airlock! This would be an excellent opportunity for the PC’s to be introduced to a grateful patron, a new hiring for the PC’s to bring on to their party as a PC or NPC, or to a group of people who will be thankful for their rescue (or angered if they did not rescue another a family member who was left behind). After four hours from their time the ship was scheduled to crash a small rescue fleet will arrive on station and they will remove the refugees from the PC’s ship. Starport Authority has also ordered the PC’s ship back to port to be debriefed on their actions surrounding their role as rescuers in this action.